De Formule 1 zet zich schrap voor ingrijpende regelwijzigingen op gebied van aerodynamica voor 2013. Zo zal de achtervleugel smaller worden, moet de hoeveelheid volgas per rondje van zeventig procent naar vijftig procent dalen en dient de onderkant van de auto de meeste downforce te genereren. Maar vooral de voorvleugel zal een metamorfose ondergaan, zo meldt BBC Sport. Uit de eerste schetsen van de reglementen voor aerodynamica voor 2013, opgesteld met hulp van Patrick Head van Williams en Rory Byrne van Ferrari, blijkt dat het de bedoeling is om met de voorvleugel terug te keren naar de vorm uit de jaren tachtig van de vorige eeuw, de zogenaamde 'tea tray'-vleugels. De voorstellen worden deze week naar de teams gestuurd ter voorbereiding op de Technical Working Group-bijeenkomst in januari. Fórmula 1 se prepara para cambios en las reglas principales para el 2013 en términos de aerodinámica. Así, el alerón trasero más estrecho, la cantidad de aceleración máxima por vuelta del setenta por ciento de reducción del cincuenta por ciento y es la parte inferior del vehículo para generar carga aerodinámica más. Pero sobre todo el alerón delantero será sometido a una metamorfosis, informa la BBC Sport. 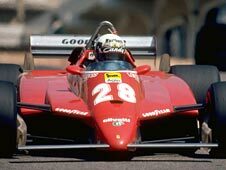 Desde los primeros bocetos de las normas de la aerodinámica para 2013, elaborado con la ayuda de Williams y Patrick Head, de Rory Byrne de Ferrari, que la intención es utilizar el alerón delantero utilizar el alerón delantero para volver a formar a partir de los años ochenta del siglo pasado , la tea tray (parte más adelantada del fondo del monoplaza). Las propuestas serán enviadas a los equipos de esta semana en preparación para la reunión del Grupo Técnico de Trabajo en enero. Jefe de confianza la BBC: "Estaremos en 2013, pero el 65% de la cantidad de combustible actual y consumo debería reducirse. Hemos sido instruidos para utilizar esos datos para diseñar un coche que no más de cinco segundos más lento que el nivel actual. Rory llevado a cabo simulaciones en el que Ferrari carga aerodinámica y arrastre cifras constituido y hemos tratado de diseñar un juego para el vehículo. " Formula 1 cars are set for more radical changes in time for 2013 as bosses look to make the sport more efficient and potentially more exciting. Cars will have much smaller wings and specially-shaped underfloors designed to generate downforce differently. They will use 35% less fuel and be a little slower but more challenging to drive, although passing may be easier. Drawn up by respected engineers Patrick Head and Rory Byrne, the rules would be the biggest design change since 1983. The draft regulations, which were requested by governing body the FIA, are to be sent to teams this week ahead of a meeting in January of F1's Technical Working Group (TWG), which scopes out rule changes. "These external changes reflect a major change in the philosophy behind the cars and, as with the turbo engines, it is a case of back to the future"
The TWG, which includes the design heads of each team, will discuss the proposals and suggest any changes they feel might need to be made. But the fundamental philosophy that has been created is expected to remain intact. * Tyres will remain large and chunky to ensure cornering speeds remain high. Head, director of engineering for Williams, and Byrne, a former chief designer for Ferrari, have between them been involved in the design of cars that have won 17 constructors' titles for Williams, Benetton and Ferrari. The pair started work on the new rules in March and have now presented a set of draft regulations to FIA race director Charlie Whiting, who will finalise them before sending them off to the teams. "We are only going to have roughly 65% of the amount of fuel and a [limited] fuel [flow] rate - that was a given," said Head, talking exclusively to BBC Sport. "We were just told 'That's what it will be, you've got to come up with a car spec that is not going to be more than five seconds a lap slower than a current F1 car'. "So some circuit simulation was done by Rory at Ferrari and when we'd come up with some numbers in terms of drag and downforce it was then to try to come up with a geometry of a car that could try to achieve that." Head and Byrne were charged with ensuring the new rules did not make overtaking any harder and, as it turns out, they could actually make passing easier. That is because a car should lose less downforce when it is following another car if more of its total downforce is created by its underfloor rather than its wings. This makes it easier for drivers to follow closely behind cars they are racing and therefore easier to pass. 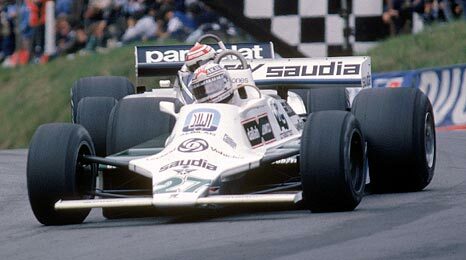 Shaped undersides were banned in F1 at the end of the 1982 season because it was felt cornering speeds had got too fast and the cars too dangerous. But back then they were used with skirts that touched the ground and sealed the low-pressure area, vastly increasing its efficiency. Objetivo de reducir inicialmente en 5 segundos el paso por vuelta. Objetivo de no afectar los adelantamientos o mejorarlos. Mayor proporcion del downforce creado por el efecto suelo, comparado con los alerones. No wonder Fernando Alonso is looking forward to the 2011 rule changes . If this year's cars had the moveable rear wings set for the new F1 season, it's very likely the Ferrari driver would have won the championship instead of Sebastian Vettel. Had Alonso had the moveable rear wing at this year's final race in Abu Dhabi, he would have been able to overtake Vitaly Petrov's Renault and would have been in a position to challenge Nico Rosberg's Mercedes for the fourth place he needed to win the title. But while the new driver-adjusted bodywork comes too late for Alonso's 2010 campaign, next year's rule changes (including the return of the Kers energy storage and power boost systems) are set to make overtaking considerably easier and have a big impact on race strategies and, ultimately, championship results. Formula 1 rear wings are made up of two main elements. The main plane, which is the flat, horizontal part, and the flap, which is the piece of carbon fibre angled up against the airflow. The flap is the part that will move. It will be pushed open, like a letterbox, against the airflow. The flap will move by five centimetres - a significant amount in aerodynamic terms. Moving the flap up allows more air through the rear wing gap, which stalls the main plane and dumps drag, effectively giving the same result as 2010's F-duct. In fact, it is anticipated that the effect will be much greater than the F-duct, and could even be as much or more than the boost delivered by Kers. The flap will be pushed up by actuators. It remains to be seen how teams make it work and whether it will be electrically or hydraulically operated by the driver via a button on the steering wheel. Indeed, when you add Kers management systems and the moveable rear wing to the many buttons and switches already in use, you can quickly see that mental agility and capacity will be key requirements for any driver who wants to be successful in 2011. The driver will be able to move the wing at any time throughout practice and qualifying. This way engineers can select appropriate gear ratios after measuring the car's maximum speed with the wing open. There is no point having a sudden straight line speed boost only to then hit the rev limiter. But there are very different rules governing use of the moveable rear wing in the race. Firstly, drivers will only be able to move the wing on one, designated straight. So at Silverstone, for example, it will be the Hangar straight and Barcelona will be the pit straight, but it might not be such a clear choice at other circuits. Charlie Whiting, race director of governing body the FIA, will choose. Will we see fewer clashes like Vettel and Webber's collision if overtaking is easier? Secondly, drivers will only be allowed to use it in a specific zone on the straight. This zone is expected to start a few hundred metres down the straight and end at the braking point for the next corner. This is to allow the cars to be securely established at high speed before taking away downforce. The sudden removal of rear downforce has to be done with great care. As soon as the driver touches the brake pedal for the corner, the flap snaps shut and the rear wing provides downforce again. Thirdly, drivers will not be allowed to move their wings in the first two laps of the race, nor during the two laps following a safety car period. This is understandable as everyone will be tightly bunched together. The fourth and arguably most intriguing rule about moving the wing in the race is that the car behind must be within one second of the car ahead in order to be allowed to activate the wing. The car's electronic control unit (ECU) will be sent timing information to govern when the driver is allowed to move his wing. Crucially, the driver ahead is not allowed to move his rear wing to defend the overtaking move, unless he too is within one second of another car in front. WHAT EFFECT WILL IT HAVE ON THE RACING? This will inevitably change race strategies. Championship-challenging teams will be less concerned about getting held up by midfield cars, as Ferrari were in Abu Dhabi, because as long as they can close to within a second, they will be able to overtake fairly easily. This will allow them a little more freedom in when to pit. And even between the likes of Red Bull, Ferrari and McLaren, these new rules will have a huge effect because for the first time, the driver running behind will have an advantage, and will be able to use that to potentially win a race. Take Singapore 2010 as an example. Vettel had the fastest car but finished second to Alonso because Ferrari covered Red Bull's pit stop and were always ahead on the road. With a moveable rear wing, if Vettel could have stayed within a second of Alonso, he could have waited until the last lap before activating his moveable rear wing and passing the Ferrari. Alonso would have been powerless to defend because the driver ahead is not allowed to move his rear wing to neutralise an attack. Of course, the bottom line is that no one - not the teams, not the drivers, not the FIA - actually knows how this will work in practice, and they will not until the first race in Bahrain on 13 March. As a result, it will be a work in progress for the first few races, as the FIA look to see whether it is working as they intended, and refine it if not. It could be that, with this new rule, having track position could change from being a blessing to a curse. It may be that if there are evenly matched cars, they race in pack, in order to be able to overtake with your moveable wing later on. Whatever, it's understandable that, to many, the moveable rear wing will be seen as an artificial gimmick that will cheapen the value of overtaking manoeuvres and could lead to unjust results gained by good timing rather than genuine pace. However, as long as the wing works as intended, that will not be the case. The aim is to allow cars that are significantly faster than others to be able to overtake, but for it to remain difficult for one car to overtake another of similar pace. De momento, lo que veo es mucha palabrería y mucha promesa vana...pero a la hora de la verdad tenemos difusores múltiples, alerones cada vez más importantes, imposibilidad crónica de adelantar y coches apropiados para conductores jóvenes y/o menos dotados. Y si por casualidad consiguen sacar alguna norma para reducir la importancia de la aerodinámica, no tardan es desdecirse reinterpretando dicha norma y acabando peor aun de lo que estaba anteriormante. No son la normas lo que hay que cambiar, si no los que las escriben. La posible entrada de Volkswagen en la Fórmula 1 como proveedor de motores a partir de 2013, cuando se produzca el profundo cambio en la normativa de los propulsores, podría producirse del lado del actual equipo campeón, Red Bull. "Estamos en espera para una asociación importante," aseguró Dietrich Mateschitz, cuya compañía ya tiene grandes lazos con el constructor alemán en varias disciplinas en las que participa como el rally Dakar. El rendimiento de su actual motor Renault sigue sin gustar en Milton Keynes, y según comenta Mateschitz, el equipo estaría incluso dispuesto a construir sus propios motores. "Incluso, la idea de desarrollar nuestro propio motor creo que ya no es tan absurda," explicó el magnate de la bebida energética. Lo único que parece claro es que Red Bull tiene fijada la fecha de 2013 para cambiar su acuerdo motorista o tomar la decisión de confeccionar sus propulsores. "Es importante mantener las opciones abiertas. Ese es uno de los puntos fuertes del señor Mateschitz," comentó el jefe de equipo Christian Horner. Entre estas opciones, la más interesante para el equipo parece asociarse con un sello potente como Volkswagen, muy interesado en la nueva normativa de 2013. "Con la visión de Didi, todo es posible," aseguró Horner al respecto.